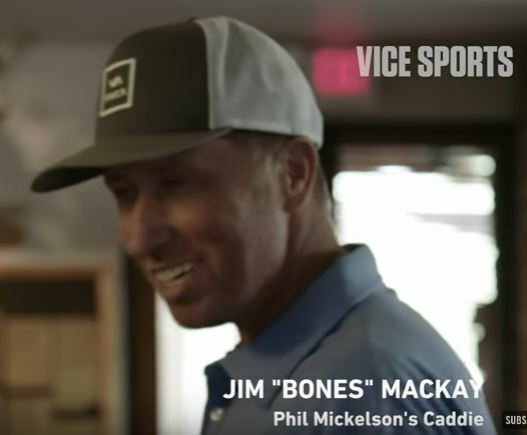 The latest form VICE Sports is a visit with Jim “Bones” Mackay, who has been Phil Mickelson’s caddie for twenty five years. In the video, Bones reviews the basics of caddying. Interesting stuff. It is a bucket list item of mine to caddy for a PGA TOUR player, even if only for a pro-am round. I had better do it while I am still physically able to lug the bag.